In order for electricity to power appliances, it has to travel in a circuit; it cannot travel in a linear path. For example, when you put a battery in a battery slot, it creates a positive and negative bridge to complete the circuit. Current travels from the negative end, through the appliance and back into the positive end. If an electrical circuit gets disrupted, current cannot flow. A multimeter is a device used to troubleshoot and test the different aspects of an electrical circuit. Voltage is the electrical potential difference that causes electrons to move along a circuit from one point to another. Without a voltage source, electricity will not flow. Multimeters can test both AC and DC voltage at different ranges by setting the dial on the meter and touching the two probes to contact points on the circuit while current is flowing through it. Ideally, the meter should be touched to the two contact points on either side of the power source: the red lead to the positively-charged terminal and the black lead to the negatively-charged terminal. If you get it wrong, you get a negative reading. Testing resistance in a circuit allows you to check for broken wires or shorts in a circuit when the dial is set to the "Ω" or ohms setting. Normally, the resistance of copper wiring or other materials used in the circuit should be extremely low. If you get high readings, you're likely dealing with a broken circuit. During a resistance test, the power must be removed from the circuit so the multimeter can induce a small voltage, send it through the circuit and determine the resistance. A diode is a component on a circuit that keeps current flowing only one way. This is useful in AC circuits, where the current switches direction constantly and the electricity is only intended to flow one way. More sophisticated meters have a diode test function, but you can still test diodes with resistance measurement in each direction across the diode. A malfunctioning diode can destroy or damage an electrical component. Many multimeters include two settings to test current: one used for currents between 300 mA and 10 amps, and another used for currents less than 300 mA. To test current, you have to break the circuit and place the multimeter in series with it as power flows through. 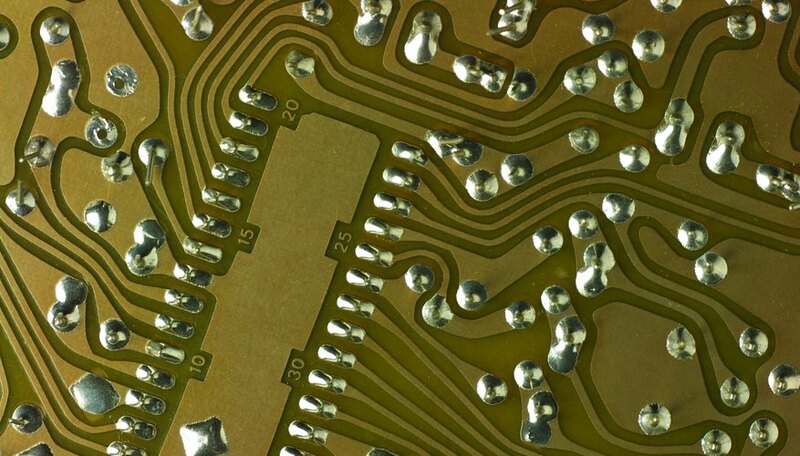 For printed circuit boards – PCBs – a current test is impossible because you cannot break the circuit. Instead, you take the voltage measurement and divide it by the resistance measurement for direct current. DC is used for low-voltage applications. 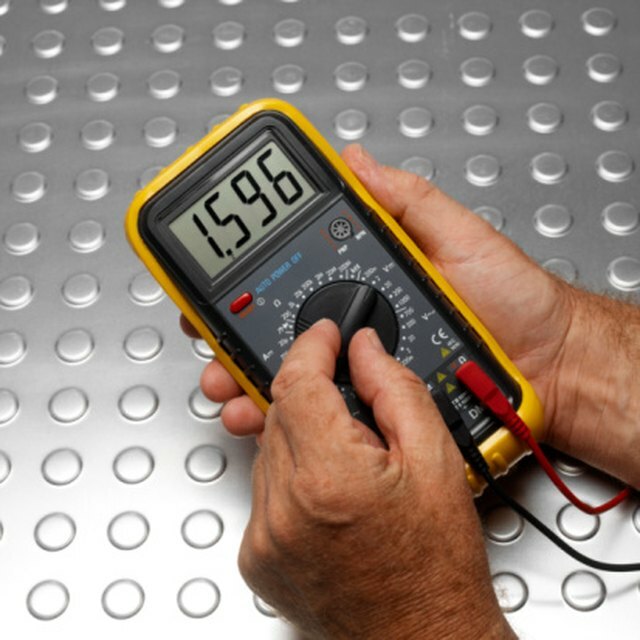 Although the multimeter can test a variety of measurements, the leads have to be plugged into the correct jacks or you risk personal injury or electrical damage. During a voltage, resistance or diode test, the red lead should plug into the jack marked "VA+." During a current test, the red lead should plug into the appropriate current slot. The black lead always plugs into the "COM" jack. The multimeter should be clean and dry. Moisture or dirt can disrupt the readings of the meter. O., Michael. "What Are the Applications of a Multimeter?" Sciencing, https://sciencing.com/applications-multimeter-12002701.html. 24 April 2017.